Is Snowdonia the best Surf Location on the Planet? Is Snowdonia the best Surf Location on the Planet? Is Snowdonia the best Surf Location on the Planet? Come and see Surf Snowdonia for yourself. Snowdonia is a National Park in North Wales, with many attractions for young and old alike. The newest attraction, Surf Snowdonia, opened in August 2015, and promises to be quite an experience for all who visit. This new attraction brings the thrills of water sports to the heart of the Welsh mountains, for all to enjoy. Surfing is understandably the main attraction, with the lagoon providing a range of waves for all to enjoy, from the complete novice to experienced surfers. The lagoon enables anyone with an interest in surfing to give it a go, safe in the knowledge that there is little that can go that wrong. Alongside surfing, other watersports such as kayaking, Surf Yoga and traditional swimming can all be enjoyed. The park also provides plenty of food and drink options, so you can quite easily spend the whole day there without realising how quickly the time disappears. Even the little ones are fully catered for; there is a Soft Play Shack specifically designed for those who are a little too young or small for the surfing lagoon. Complete with its own octopus with wandering tentacles, this is the perfect place for children up to 12. It can also double up as a great place for adults to sit and have a coffee whilst the kids are busy avoiding the shark fins in the ball pool! Once you’ve surfed till you’ve dropped, there are a variety of other attractions to keep yourself busy in Snowdonia. The ramblers and other keen walkers are spoilt for choice with endless routes across mountains, lakes and villages to fill any holiday with. Whilst out walking, many unusual, and some rare, wildlife can be spotted. Snowdonia is home to many types of birds such as ravens and peregrines, who are joined by mammals such as otters and feral goats. Snowdonia could easily keep the family occupied for the whole summer holidays, let alone a weekend or week away. Staying in one of the picturesque villages, surrounded by stunning scenery is a definite must. You can experience Snowdonia at its best, with the ease of someone else cooking you breakfast. 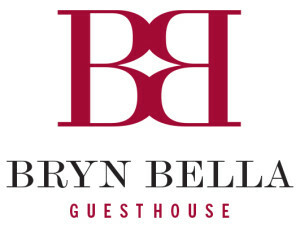 Bryn Bella Guest House is located in one of the best locations in Snowdonia, surrounded by lakes, mountains and quaint villages. We are conveniently located for many of the top attractions, such as Swallow Falls, Go Below, Tree Top Adventures, Zip World and of course the newest attraction, Surf Snowdonia.